Although red tide remains lingering around the shores of Anna Maria Island for another week, fishing to the east remains quite good — in fact, in some places, it’s excellent. Fishing the eastern shorelines of Tampa Bay and its connecting waters is proving to provide some of the best inshore action of the year. Catch-and-release snook fishing is nothing short of epic. Spotted seatrout are also making a strong presence on the flats as water temps being to drop. Deep grass flats with scattered potholes are holding numerous schools of these ever-popular inshore fish. As for catch-and-release redfish, I’m seeing some, but not as many as I would like. Other action inshore includes mangrove snapper, which can be found on just about any structure in Tampa Bay. Also, jack crevalle, ladyfish and bluefish are making a showing especially around the numerous schools of baitfish. For those brave enough to venture offshore, fishing is proving to be rewarding. Both Capt. Jason Stock and Capt. David White are reaping the benefits of risking the chance of going offshore with catches of blackfin tuna, amberjack, kingfish and snapper. On my Southernaire charters. I’m doing quite well with catch-and-release snook. Morning sessions of 30-40 snook are not unheard of. I’m finding a few catch-and-release redfish mixed in with the snook bite, although most reds are 16-18 inches. There are some larger ones hanging around docks and oyster bars but they are scattered and hard to target. Spotted seatrout are beginning to show quite good on deeper grass flats. Most of the ones I’m catching are on the smaller side, although we are catching a lot of them. Lastly, mangrove snapper are available around structure. I’m finding them to be a little leader-shy so I’m scaling down to 15-pound fluorocarbon with a size 2 hook. Chumming heavily is aiding in getting them to bite. 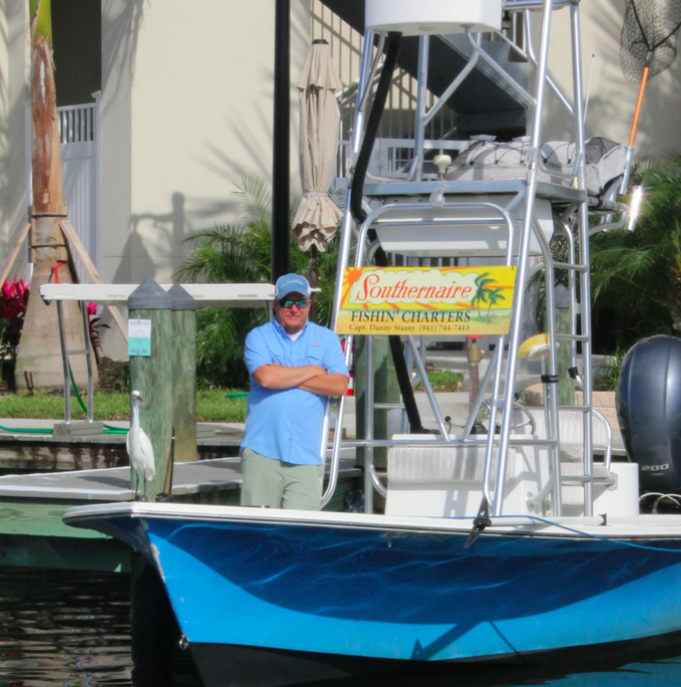 Southernaire Charters Captain Danny Stasny specializes in live-bait backwater and near shore fishing. Manatee County and Tampa Bay area fishing reports.